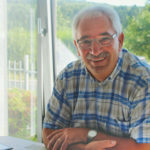 Mr Bernhard Schuhmacher will enter his well-deserved retirement on 01 April 2016. While he will no longer work as a managing director, his heart and mind will remain available to systrans in a consulting position. 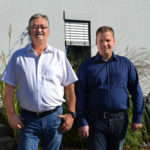 We welcome Mr Volker Freund and Mr Tobias Dietrich (from left to right) as the new managing directors of systrans GmbH. 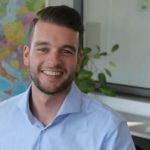 Alexander Klaas has passed his exam as a forwarding and logistics merchant on 25 June 2015 after an apprenticeship of 3 years. Congratulations! We are happy to have him stay with us and wish him all the best for his future career at systrans GmbH.